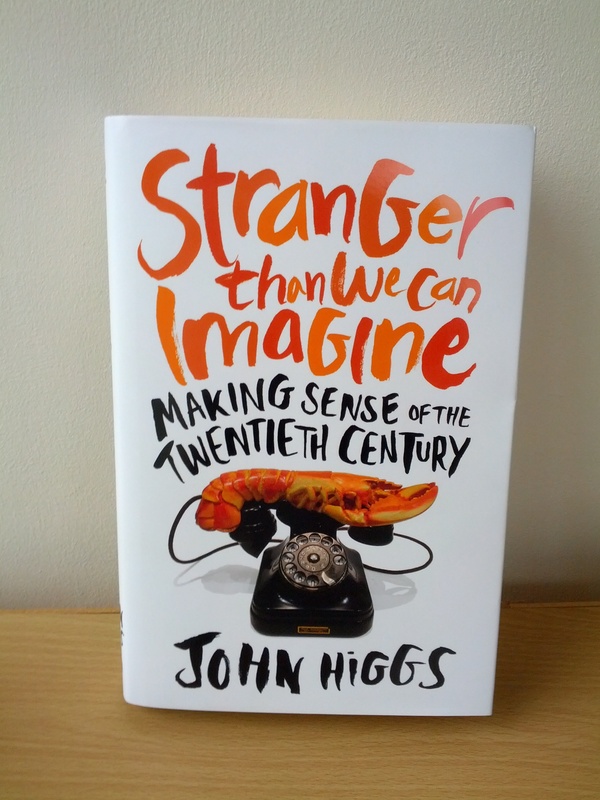 This weekend saw the launch of John Higgs’ new book Stranger than we can Imagine. It was also the first chance I’d had to read the copy I bought a few weeks ago at the Wilderness Festival, where I spoke just after John. His book on the KLF is one of my favourite books, so I’d been looking forward to this for some time. It’s a pretty bold undertaking, being a history of the twentieth century and takes its title from a quote by the physicist Sir Arthur Eddington. I tend to be a little nervous about popular accounts of physics. Over the years I’ve read too many accounts of quantum entanglement that veered off into telepathy. The handling of science here is careful and thoughtful without being dry, particularly the discussions of special relativity. The narrative of the book emerges quite late, and for a while I wasn’t sure if there was a story to be told, but the conclusion is fascinating. Something happened in the 20th century and this book provides an interesting explanation of what this was. PS – Higgs raises an interesting question about UFOs through his outline of a discussion by Jung. UFOs, according to Jung, are a modern manifestation of things seen through the ages, such as fairies and angels. Since the cameraphone became ubiquitous, UFO sightings have dropped off – what is going to replace them?